The Carrion Crow is a type of crow that lives in western Europe with a separate population living in eastern Asia. Besides carrion, these black corvids feed on small animal prey and eggs. 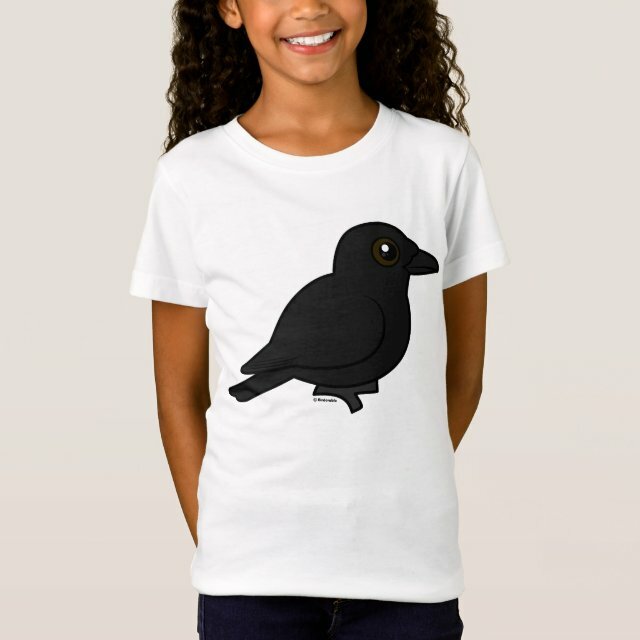 This is our totally cute Birdorable version of the Carrion Crow! You can customize this gift! Move the bird around, change the background color or style, add text or images -- make it your own! She'll always know just what to wear with this versatile T-shirt by LAT. This super-soft ribbed collar shirt features a slightly longer silhouette to flatter any figure.